Caesar is a modern robotic framework for localization and mapping, reducing the barrier of entry for Simultaneous Localization and Mapping (SLAM). Caesar attempts to address a number of issues that arise in normal SLAM solutions - solving under-defined systems, inference with non-Gaussian measurement distributions, simplifying factor creation, and centralizing factor-graph persistence with databases. Caesar started as part of the thesis "Multi-modal and Inertial Sensor Solutions for Navigation-type Factor Graphs" [1.2]. This project focuses on the open development and progression to a public, stable, growing and usable inference library suited to data-fusion aspects of device navigation. 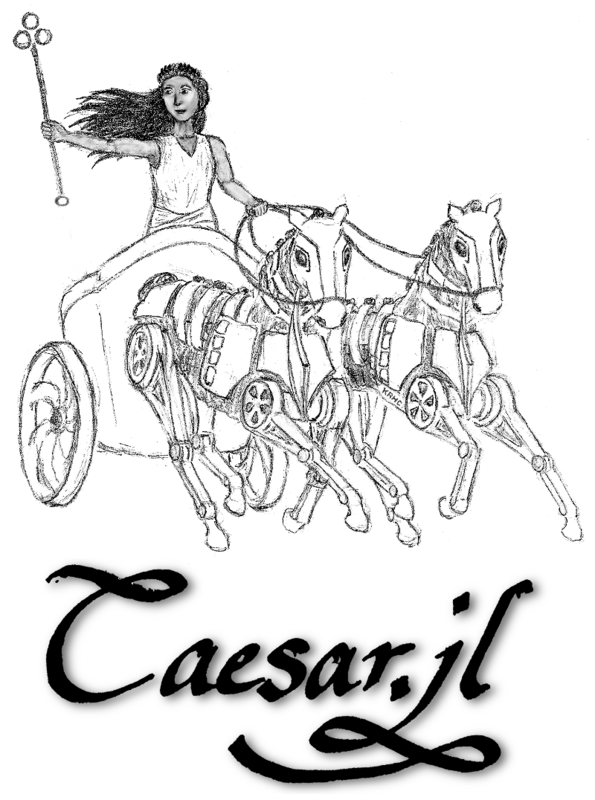 Caesar.jl is the "umbrella" framework for other dedicated algorithmic/supporting packages that are implemented in Julia (and JuliaPro). Critically, this package can operate in the conventional SLAM manner, using local memory (dictionaries), or alternatively distribute around a persisted FactorGraph through a graph database using CloudGraphs.jl, as discussed in literature here [1.3]. A variety of plotting, 3D visualization, serialization, LCM middleware, and analysis tools come standard. Please see internal packages, Robot Motion Estimate RoME.jl and back-end solver IncrementalInference.jl. IncrementalInference.jl supplies the algebraic logic for factor graph inference with Bayes tree and depends on several packages itself. RoME.jl introduces nodes and factors that are useful to robotic navigation. Arena.jl package, which is a collection of 3D visualization tools. The Caesar framework is not limited to direct Julia use. See the multi-language page for details. Also see Frequently Asked Questions for more. See related works on the literature page. Many future directions are in the works – including fundamental research, implementation quality/performance, and system integration. Please see/open issues for specific requests or adding comments to an ongoing discussion. This package is a work in progress. Please file issues here as needed to help resolve problems for everyone! We are tracking improvements and new endeavors in the Issues section of this repository. The Caesar repository is part of the JuliaRobotics organization and adheres to the JuliaRobotics code-of-conduct. We are grateful for many, many contributions within the Julia package ecosystem – see the REQUIRE files of Caesar, Arena, RoME, RoMEPlotting, KernelDensityEstimate, IncrementalInference, NLsolve, DrakeVisualizer, Graphs, CloudGraphs and others for a far reaching list of contributions. Administration of the Caesar/RoME/IncrementalInference/Arena packages is currently conducted by Dehann Fourie who can be contacted for more details.